I am so fed up with Los Angeles not having its own football team. The NFL season wraps up this Sunday with the Super Bowl and I can’t help but be bitter. So instead of cheering for a team, I am rooting for the food being served during the Big Game. Move over chicken wings, quesadillas, bean dips – The Big Bad Avocado is in Town. Luckily, I grew up with two avocado trees at my parents’ house in Pico Rivera, Calif. The tree in the front yard produced large, bumpy, green-skinned Hass avocados. It was a gorgeous tree of medium height. The backyard tree, which was much taller and where my brothers built a makeshift tree house, bore shiny, thin, black skinned avocados. The meat stringy and creamy, my mom rarely used these for her guacamole. So many fell to the floor and our dogs gobbled them up. Something about the avocado oil made their coats just as shiny as those little orbs. When I was looking to buy a home about 10 years ago, in the back of mind I wanted one with an avocado tree just like my mom and dad’s. I found one that offers medium-sized, Hass fruit that are at the peak of its season around the SuperBowl every year. Over the years I have made guacamole all sorts of ways. From adding mangoes to red onions and even Greek yogurt and bacon. However, here is the recipe I tend to fall back on as it always scores a touchdown on game day. Add jalapeño, onion, cilantro and add to the avocado mixture. Mash with a fork just until all ingredients are combined. Add in the remaining ingredients: soy sauce, Worcestershire sauce, garlic powder, lime, salt and pepper and continue to mash, leaving your guacamole a bit chunky. Salt to taste. 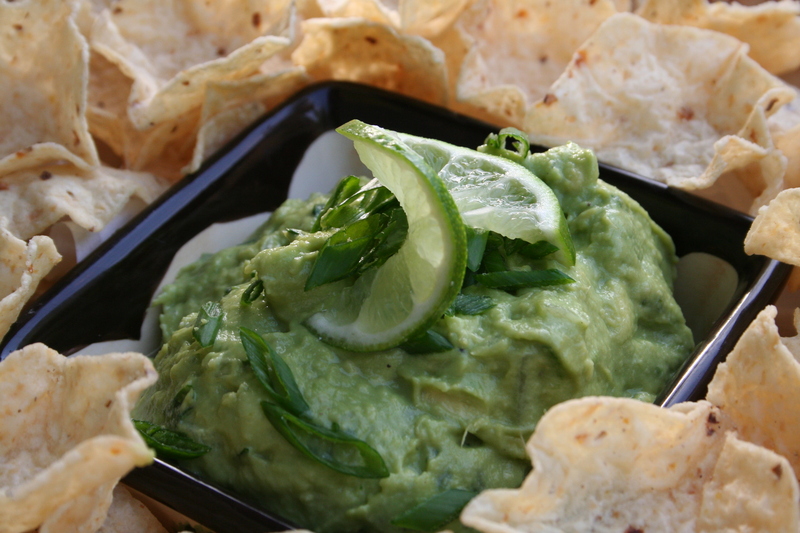 Remember, that most tortilla chips already have salt on them so be careful not to oversalt your guac. Place the guacamole in a festive serving bowl, throw on your cheerleading outfit and enjoy the game. Your guests will love it!